As part of measures to clamp down on crime in the Volta Region, the Regional Police command has procured drones to be used to complement its flagship security program dubbed “Operation Calm Life”. The Volta Regional Police Commander, ACP Nana Asomah Hinneh made the announcement during the Volta Regional launch of “Operation Calm Life” in Ho, the regional capital. He noted that in order to make strides in the region's security and the success of the programme, there is the need to employ technology to complement the traditional strategies and logistics in fighting crime. To this end, he has personally facilitated the procurement of a drone to support the Operation Calm Life programme and other crime fighting operations in selected areas in the region. He explained that the rise in crimes in communities and highways crimes has led to the reactivation of Operation Calm Life across the country. The operation is a collaboration between the police and the military with the objective of making sure that crimes such as robbery and drug related offences are brought to their barest minimum. 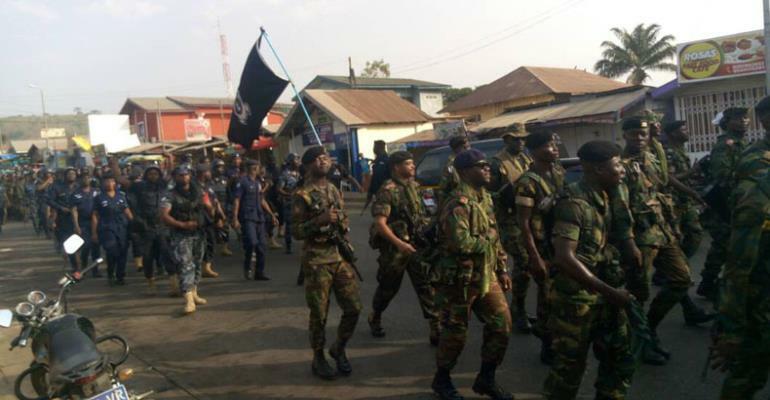 In the Volta Region about 200 police and military officers have been deployed to complete the regular Police Security operations. Attention will be given to crime prone zones like Kpotame to Aflao road, Asikuma, Have, Kpando, Hohoe, Ho to Aflao road, and the Ho Municipality. ACP Hinneh added that a Joint Operation Centre (JOC) has also been established under the command of a Senior Police Officer at the Regional Police Headquarters, Ho, where all activities of the operation will be coordinated. He, together with a senior officer of the military, thanked government for its continued support for the security agencies. They also pledged their commitment to fighting crime in the country.